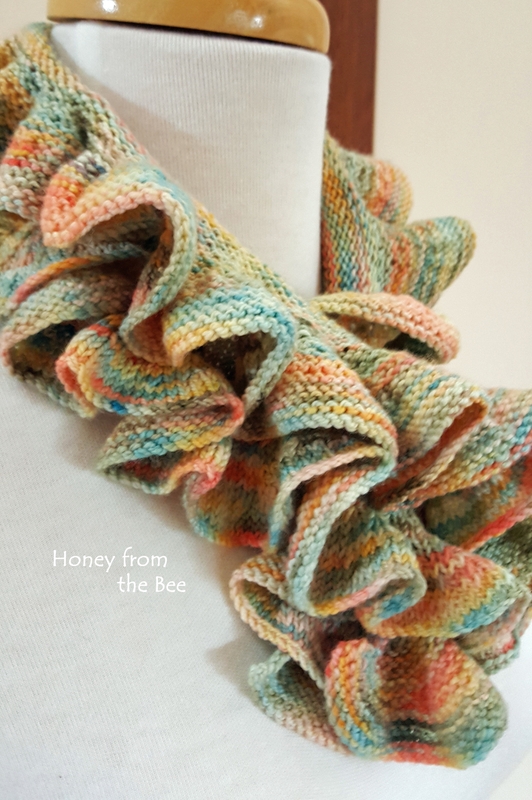 A feminine ruffled scarf to take you into Spring! 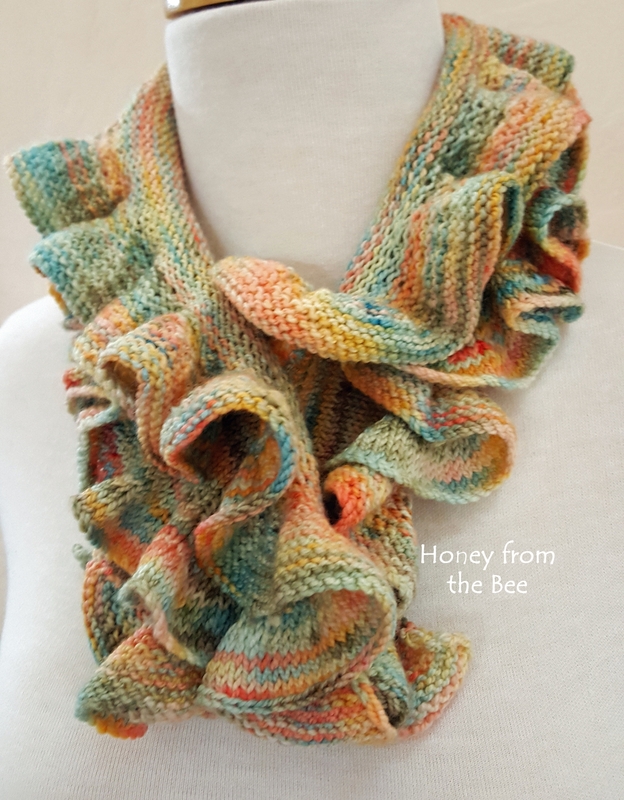 Pretty pastels of peach, teal, and yellow are sprinkled in this lovely handknit scarf. Knit from soft and silky merino wool. The finest merino sheep in the world produced this confection. Care: air outside if not soiled. Handwash in cold water and and dry flat. 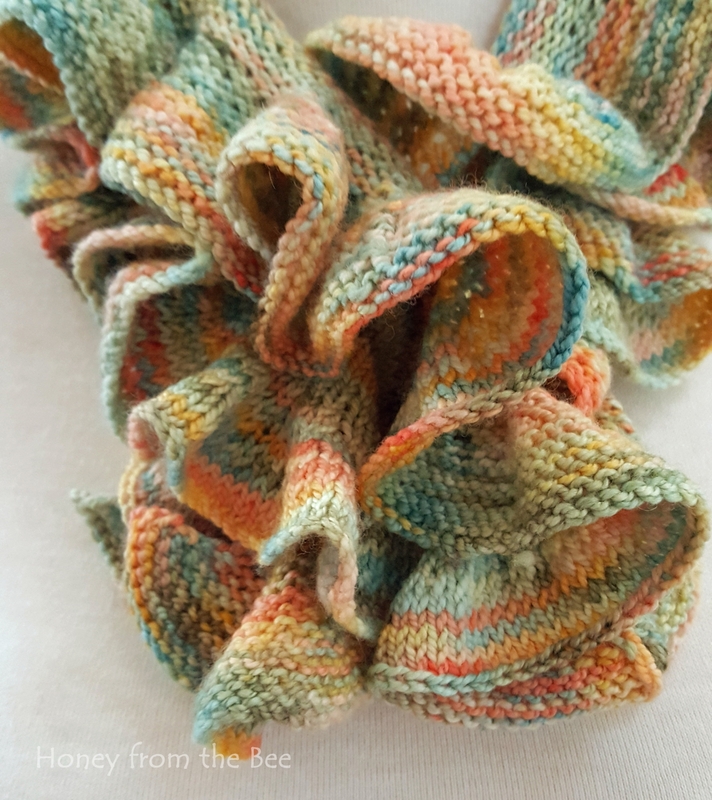 If ruffles need definition after it dries, use an iron on wool setting with steam and carefully (so you don't burn fingers!) 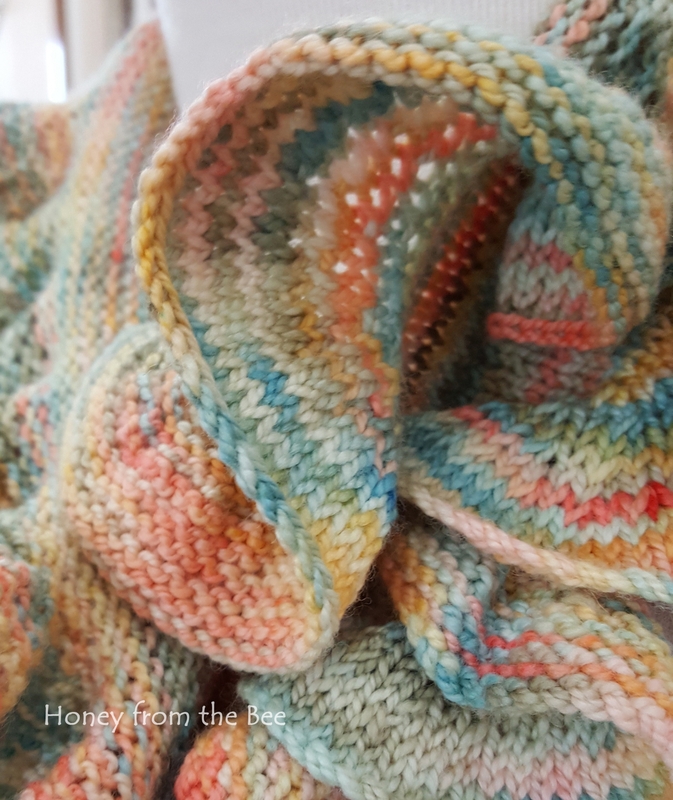 work along the ruffled edges. A beautiful gift for your BFF!